The Boston Herald says UMass is "exploring" the possibility of moving to the MAC. If the Kraft family are on board for a UMass upgrade, that would the political and prestege push that could put UMass over the top. 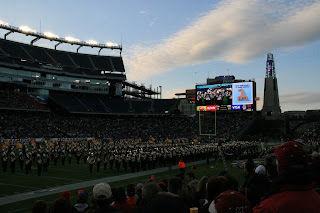 The Blog would like to see ALL UMass games at Gillette. The fan base is in the East. Access to McGuirk is impossible due to the roads. UConn put their stadium near an interstate and Hartford. They knew no one was going to Storrs. The UMass fan base is already trained to use Gillette. Don't spend any money on McGuirk. Instead of a McGuirk upgrade, use the money for a new fieldhouse/training facility that would benefit all UMass sports. There would be nothing wrong with being the "little brothers" of the Patriots. I'm changing my ISP later today. My e-mail address will also be changing shortly. If the blog should go dark for a while, you'll know what's up. I'll be back tomorrow----hopefully----with some recruiting news. This article is about Ned Deane, a 6-1 200 pd LB from Andover, MA. 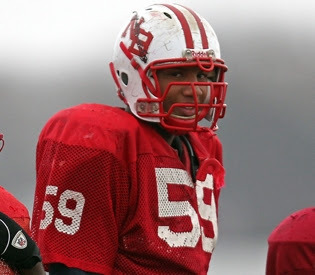 His father was an All-American at UMass and is still active in supporting the Minutemen. 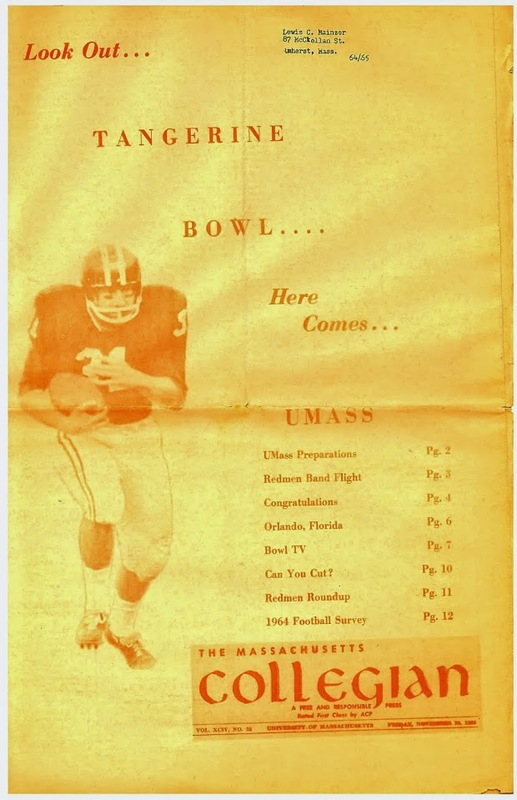 Ned Deane the Elder won letters for UMass football in 1973, 1974 and was Captain in 1975. He was All-Yankee Conference in 1974 and 1975 as well as being named first team All-American that year. Ned Deane the Younger is looking at mostly Ivy League schools. This story features former UMass star James Ihedigbo, who has become a feature for the NY Jets. Ihedigbo wants to continue his father's legacy of charitable work in Africa. Keepers College Football Rankings has UMass finishing the season at #20. He also Villanova as the lone CAA underdog in Saturday's playoffs. When UMass lost at Rhode Island, knocking us out of the playoffs, the UMass contingent took the loss with equanimity. Not so this Boise State fan. WARNING NOT WORK SAFE OR SAFE ANYWHERE. Mark Whipple has been fired as OC at the University of Miami as well as HC Randy Shannon. Weren't the Hurricanes so short of QB's that they were playing a true freshman? It's a tough world in FBS coaching. North Dakota State surges past Robert Morris. Western Illinois is going to meet Appalachian State. Georgia Souther ran over South Carolina State. And Lehigh caged the Northern Iowa Panthers. Meanwhile, four CAA teams are waiting. UMass has offered to A.J. 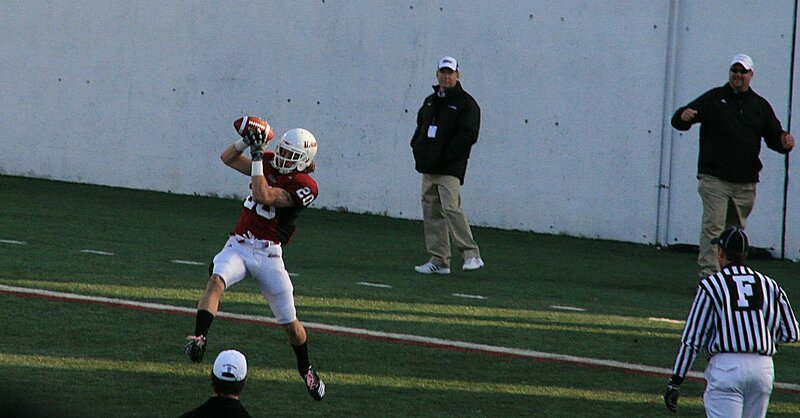 Price a 6-4 185 pd WR from Dean College in MA. Price was the receiving leader at Dean with: 8 games 23-605 26.3 AVE 7 TD 87 Long 75.6 yards/game. Price did a short stint at Penn State. Price also holds an offer from Bowling Green and has interest from numerous FBS teams. Former UMass star James Ihidigbo has a mention in this story about the Jets recent win over the Bengals. UNH TE coach Brian Barbato is the son for former UMass player Dennis Barbato (letter 1976). UMass basketball is playing a game in Curry Hicks Cage. Mrs Blog and I were at the last "Rage in the Cage" game back in '93. 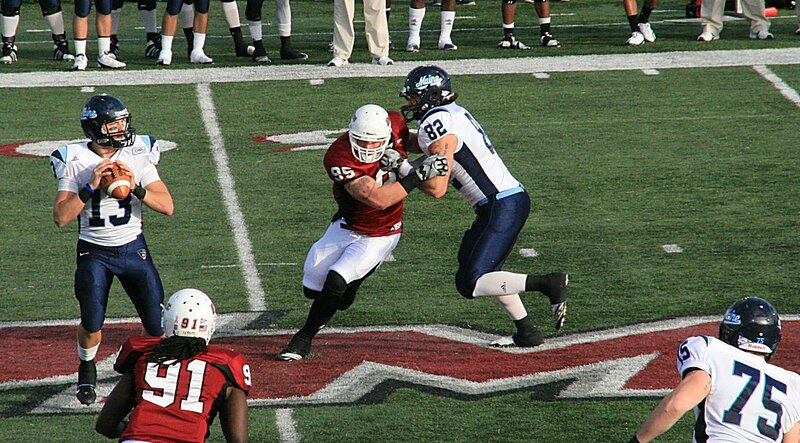 UMass is interested in Lance Burlingame a 6-4 250 pd lineman from New Bedford, MA. Note that he is being coached by former Minuteman captain Nick Salmon. Salmon earned letters in 1986, 1987 and was Captain in 1988. He was a 6-2 258 pd OT for UMass during his playing days. Despite finishing 6-5, UMass ended up 18th in the Dunkle Sports Index. UNH hopes the off week will allow some injured players to be available for Bethune-Cookman. Montana's Eric Stoll lost a half-inch of ring finger against Montana State last week, but stayed in the game and made twelve tackles. The 8-3 Liberty Flames are not happy at being the last team out of the 2010 playoffs. Former UMass star Jeromy Miles has been moved to the active roster for the Cincinnati Bengals. Matty V has a story about Miles here. BTW, the Bengals play at 8:20 tonight. This article mentions UMass brothers Ryan Carter and Woody Carter IV. The CAA has it's weekly press release up. TSN has an article about "20 playoff teams, 20 indispensable players". The Blog and Mrs Blog wish all UMass coaches, players, parents,fans and blog community a happy Thanksgiving. UMass is interested in Trae Weathers a 6-1 215 pd RB/LB from Revere, MA. Boston.com has the story here. ESPN player profile here. ESPN player page here. Also receiving interest from UNH, Boston College and Bryant. A Brendon Hall/ESPN Boston image. Anthony Nelson has been named an ESPN Academic All-American. The CAA website has more here. Nelson had a heck of a year for the Minutemen. Note that UMass was tops in the CAA in punt returns. Compare Anthony's average with highly touted Richmond returner Justin Rogers. 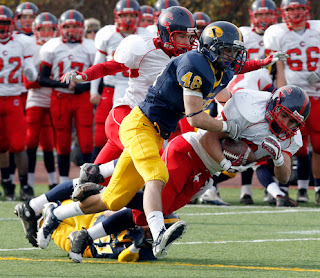 Andrew Gaddess previews this Saturday's first round playoff games. Interesting factoid: Lehigh, the Patriot League champion is going against #16 Northern Iowa. The Mountain Hawks played two CAA teams this year and lost by a combined total of 66-10. Spencer Ridenhour, a Penn State transfer, who had a brief career with the Minutemen, is in trouble again. In the spring I would kill for some football news. Yesterday there was a flood of information. Rhode Island officially joins the NEC. Rhody's HC Joe Trainer was chosen CAA Coach of the Year. The CAA released the 2010 All-conference awards. Junior linebacker Tyler Holmes was named the CAA Co-Defensive Player of the Year on Monday. He was also named to the CAA First-Team along with senior receiver Anthony Nelson and senior lineman Greg Niland. Junior tailback Jonathan Hernandez and junior receiver Julian Talley were on the second team and senior tailback John Griffin took third-team honors. Holmes is the first UMass player to earn league defensive player of the year honors since Shannon James was the Atlantic 10's top player in 2004. Prior to James, the last honoree was Brian Corcoran in 1994. Havens was also 4th in passing efficiency. Tyler Holmes was the CAA Co-Defensive player-of-the-year. Matty V has an article on the UMass CAA player awards. Holmes is also a Buck Buchanan Award finalist. UMass also released the annual UMass football awards. AMHERST, Mass. 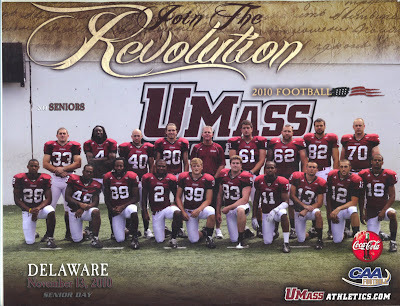 -- The UMass football team held its annual team banquet on Sunday as head coach Kevin Morris and his staff handed out the team awards for 2010. Junior linebacker Tyler Holmes was named the Team MVP while senior linebacker Mike Mele was named the Defensive MVP and senior receiver Anthony Nelson was honored as the Offensive MVP. The Team MVP was awarded to junior linebacker Tyler Holmes, who racked up 110 tackles, to tie for the team's lead with Mele. Holmes, who was a three-time CAA Defensive Player of the Week, is a top Buck Buchanan Award Candidate as the top FCS Defensive Player. Holmes led UMass in tackles for a loss with 12 for 45 yards, interceptions with five for 70 yards including two for touchdowns against Maine to set a UMass school record for a game and season. He also led UMass in sacks with five and had two forced fumbles along with six passes defended. Defensive MVP Mike Mele tied Holmes for the team lead in tackles with 110. He had 2.5 TFLs for 17 yards along with a sack, forced fumble and fumble recovery. Offensive MVP Anthony Nelson led UMass in receiving with 61 catches for 830 yards. He piled up a team-best 1,249 all-purpose yards. 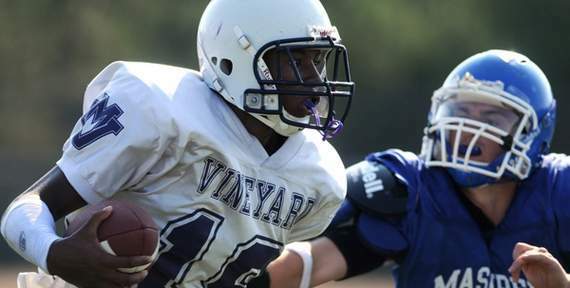 He racked up 242 yards on kickoff returns, 103 on punt returns and 74 rushing yards. The Most Improved Defensive Player Award was shared by seniors James Carven and Brandon Flanagan. Carven started the final two games of the season, playing all 11 and finished with 35 tackles and two pass break-ups. Flanagan started all 11 games at nose tackle and had 30 tackles on the season with two passes defended. The Most Improved Offensive Player Award went to senior quarterback Kyle Havens and sophomore center Quinton Sales. Havens threw for 2,692 yards and a 63.5 completion percentage along with 20 touchdowns. He finished with a 144.1 pass efficiency rating and 244.7 passing yards per game. Sales, started five games at center and was solid snapping the ball to Havens all season long. The Most Valuable Players on Special Teams went to seniors Woody Carter IV and Scott Duggan. Both players was key to coverage and blocking units all season long. Carter and Duggan each made 11 tackles and made many key blocks to spring big releases on the season. The Iron Man Award for best work in the Weight room went to Holmes and redshirt freshman Jamar Smith. The team's Academic Awards were claimed by senior cornerback Ke'Mon Bailey and senior center John Ihne. Offensive Scout Team Players of the Year were redshirt freshman quarterback Jesse Hunt and sophomore wide receiver James Lizotte, who transferred in from Holy Cross. The Defensive Scout Team Player of the Year was freshman defensive back Ryan Collins. The awards were about as I expected. I had been meaning to mention that Jamar Smith looked like he had put on some muscle. The blog is looking forward to him running the rock next year. James Lizotte has FBS size at 6-3 210. Not much biographical information about FR Ryan Collins. Walpole Times has an article on Collins. The UMass Daily Collegian says UMass is out of the playoff picture. 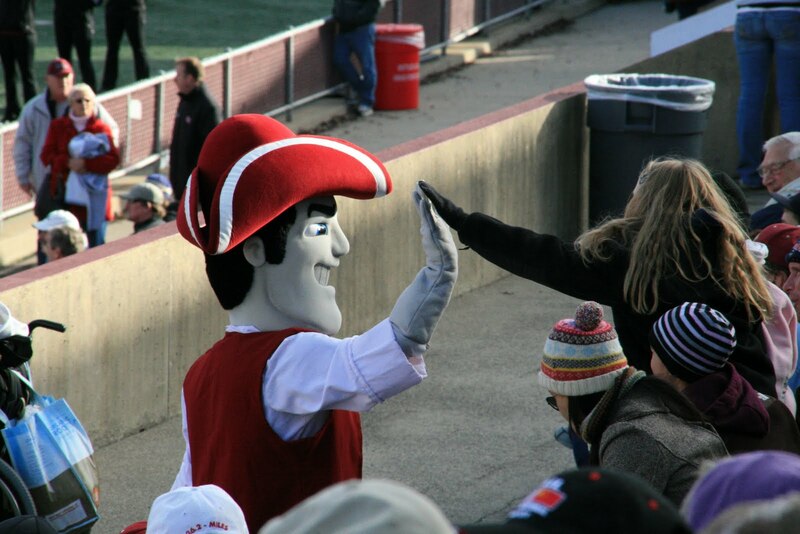 Matty V looks at the season that might have been for the Minutemen. Meanwhile, UNH heads for the playoffs for the seventh straight time. The CAA website has an article on the NCAA playoff selection show. The CAA received two of the top five seeds for the tourney. In the Blog's opinion, probably the hottest team in the tourney is William & Mary. 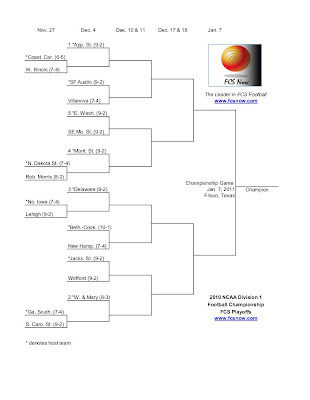 As the #2 seed, they also get home games through the semifinals. The Tribe has won eleven in a row at Zable stadium. Craig Halley of TSN looks at playoff field in his "Inside the FCS Huddle" column. Keeper's College Football rankings has FCS playoff predictions here. The Boston Globe said UMass had a bad time. The Boston Herald says UMass is on the Rhode to nowhere. MassLive says the end came too quickly for the Minutemen. TSN says the final playoff slots are still unclear. The Selection "show" will be on ESPNU at 10:00 am. Hopefully, they won't screw it up as badly as they did last year. The CAA only was given four playoff slots. 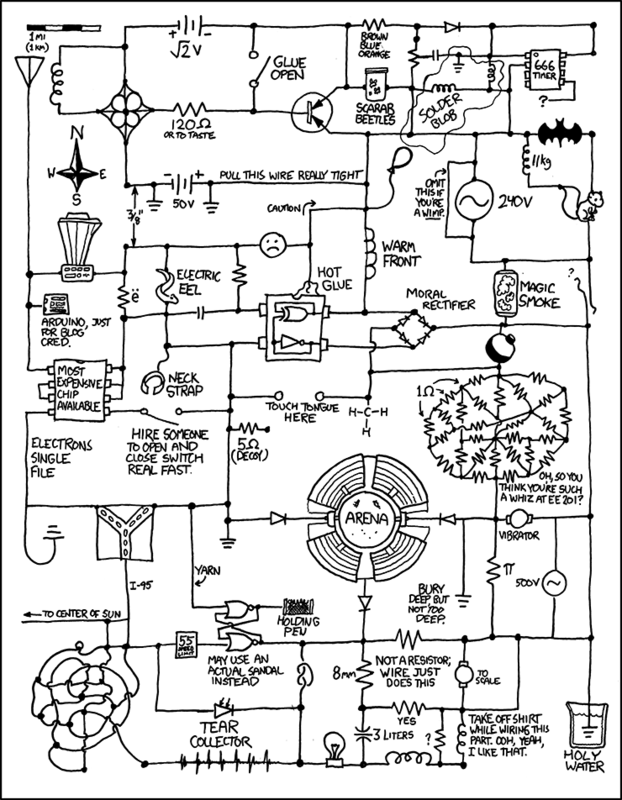 Click on the above graphic to see a larger view. If we had won, as I said last night, strength-of-schedule would have been important as we would be by no means a lock for the playoffs. Holy Cross won big over Bucknell. Stony Brook lost to Liberty, which knocked them out of the playoffs. Michigan lost big to #6 Wisconsin . UMass came up just short against the Rams in Kingston. The UMass defense, playing without both starting safeties, gave up 17 points in the fourth quarter. Darren Thellen and Shane Viveiros would have made a difference, but UMass was just shy of being a playoff team all year. We made some errors in the game. We had a punt blocked. Caleb Violette missed a field goal, although in his defense, as a friend pointed out, Violette is really a punter, not a field goal kicker. We had a bunch of penalties in the first half. In the second, we gave up a couple of big returns. Maybe it would not have made any difference. Villanova upset Delaware in overtime. That knocks the Hens out of the CAA championship, out of #1 and out of the #1 seed. It also puts William & Mary as the top ranked CAA team. The Hens would be #2. UNH would probably be ranked ahead of Villanova. So UMass, even with a victory, would have been the #5 CAA team. We would have been waiting until tomorrow morning to find out if the committee would have granted the CAA five slots in the playoffs. I listened to the Richmond-William & Mary game on satellite on the way home. Unlike UMass, there was no drama in that game as the Tribe thumped the Spiders 41-3. UMass write-up on the game here. 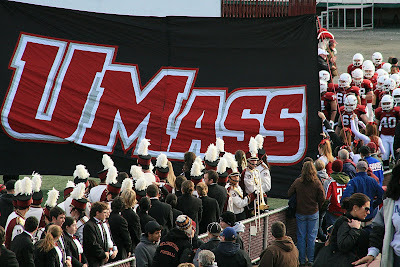 287 days until UMass opens the 2011 season. Go UMass! Click on the image and Blogger displays a larger view. Let's hope next Saturday at McGuirk looks like this. Matty V says its playoffs or bust for UMass. Matty V and Matty G both pick the Minutemen in this week's game picks. Rhode Island seniors will get their due. The Rhody website says it is a senior class to remember. CSN's Terrance Thomas picks the Rams to eliminate the Minutemen today. The CAA's Game Day page is here. Foster's Daily Democrat says UNH won't take Towson lightly. The stakes are high when William & Mary hosts Richmond. UMass fans would like a Tribe victory to knock the Spiders out of the playoff hunt. Ditto for the Delaware-Villanova game. The News-Journal says that game has CAA and national implications. A Wildcat loss would remove last year's national champions from this year's playoffs. CSN's Chuck Burton predicts the 2010 FCS playoffs. Today's Illinois-Northwestern game will have only one endzone. National Championship game tickets are available. I'm not ready for the season to end! Let's go Seniors! Let's go UMass! A Christine Hochkeppel/Cape Cod Times image. UMass has offered to Randall Jette, a 5-11 175 pd CB from Martha's Vineyard. The Cape Cod Times has the story (in sidebar). This blog post mentions Jette. This article from the Vineyard Gazette features Jette. His sophomore and junior highlight film here. Jette holds an offer from Bryant and has interest from Boston College and Rutgers. Matty V says Saturday's game is a must-win game for the Minutemen. Ron Chimelis says UMass must win Saturday to have a chance. The ProJo looks at the unexpected good times for Rhode Island football. The UMass Daily Collegian has a podcast about the FCS playoff picture. Andrew Gaddess of TSN previews this week's FCS games in his "In the FCS Huddle" column and predicts a Ram win over UMass. New Hampshire goes into their game with Towson dealing with some injury issues. ESPNU will have the FCS playoff selection show at 10:00 Sunday. They will also televise at least one first round game. 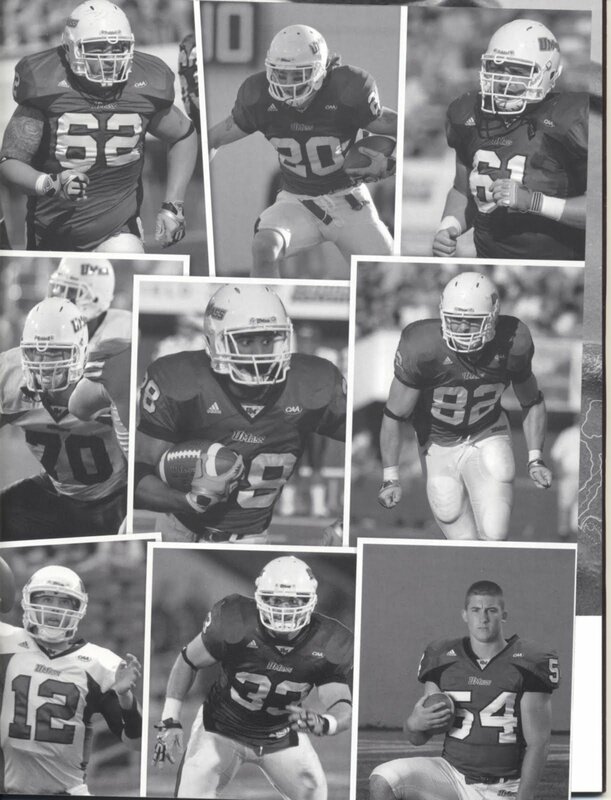 Scan from last Saturday's game program. click on the image and Blogger displays a larger view. Rhode Island has its UMass game notes up. The pdf version is here. Saturday will be Senior Day for the Rams. CBS3 Springfield has Week #12 of its UMass Football Weekly up. The UMass Daily Collegian says John Griffin is still going strong for the Minutemen. The Collegian also says UMass' playoff hopes are on the brink. Matty V looks at UMass MLB Mile Mele, who has made 43 tackles in the last three weeks. Matty also says there will be an open competion for field goal kicker this week. The CAA website has two articles this week: its weekly press release and the CAA's status in the FCS polls. The NCAA has a pdf down load that has the 2010 attendance figures for FCS football. UMass is #21 out of 124 FCS teams. The total is even more impressive if you count the number of cold-weather teams ahead of UMass. Remember North Dakota has a dome. They also have a single-game attendance stat sheet. 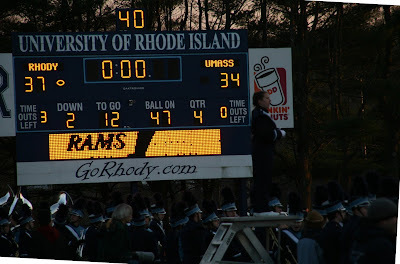 UMass-UNH at Gilette was the largest non HBCU "Classic" game in 2010. TSN's Craig Haley has his latest "In the FCS Huddle" column up and looks at Saturday's must win games. The Atlantic City Press says ankle injuries have ruined Matt Szczur's last season with Villanova. 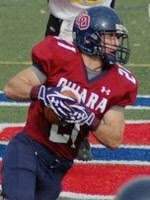 UMass has offered to Adam Dempsey a 5-10 175 pd RB from Cardinal O'Hara HS in Springfield PA.
Scout.com has the story here. Another story about his recruiting here. Besides UMass, Dempsey has offers from Villanova, UNH, Towson and interest from James Madison. Another senior scan from last week's game program. Click on the image and Blogger displays a larger view. 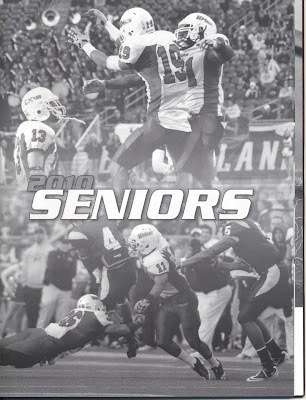 UMass has its game notes for Rhode Island up: html here and pdf here. The Rams don't have their game notes up yet. Josh Buchanan has Delaware QB pat Devlin's stock moving up after leading the Hens to a win over UMass. 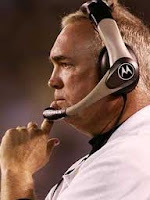 William & Mary's QB Mike Callahan will likely play for the Tribe against Richmond this Saturday. That would be good for UMass as a William & Mary win would probably knock the Spiders out of the CAA postseason logjam. Northern Colorado fired HC Scott Downing yesterday after a 3-8 season. Image above is a scan from last week's game program. Click on the image and blogger displays a larger view. The weekly FCS polls are out. UMass is 19th in both of them. The Polls don't mean much this week. It's beat Rhode Island or we're out. Matty V has a story breaking down the the football playoffs. It includes quotes from UMass AD John McCutcheon, the former chair of the selection committee. UMass has made a financial bid for a first round playoff, if we are selected. The UMass-Holy Cross BB game may be moved earlier or later if it conflicts with a home playoff game. Former UMass assistant coach John Zamberlin has been fired as HC of the Idaho State Bengals. I've blogged about Zamberlin before. Delaware's Pat Devlin was named CAA Offensive player-of-the-week for his performance against UMass. Devlin is also fourth in Josh Buchanan's "Top 50" list of FCS players. 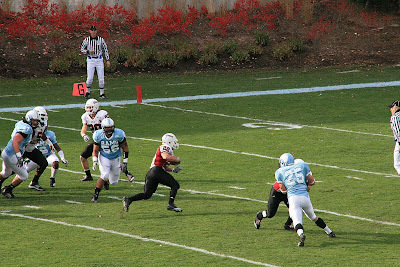 Rhode Island turned the ball over seven times in their loss to Richmond last week. UNH only needs a win against Towson to make the playoffs. New Jersey OT Anthony Alosi 6-6 282 has committed to Penn State. Story by the Altoona Times here. ESPN page here. Besides UMass, Alosi had offers from Richmond, UConn and Tulane. Image above is a scan from Saturday's game program. Click on the image and Blogger displays a larger view. Ticketmaster still has UMass@ Rhode Island tickets available. I ordered mine last night. Any one else going? 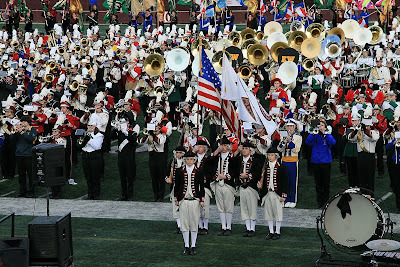 How about a carload of UMMB bandos drive down to Kingston to make some pro-Minutemen noise at the game? Matty V does an exhaustive parsing of UMass' chances for the playoffs. He also has three stars from the Delaware game. Matty also talks about the kicking woes of Caleb Violette in Saturday's game. TSN's Craig Halley also talks playoff permutations in his "In the FCS Huddle" column "Will the Bubble burst for your team?" The Daily Press looks at the crowded CAA playoff picture. Keepers College Football ratings has UMass at #18. He also has UMass by a slim 3.67 over Rhode Island. He also has Delaware over Villanova and William & Mary over Richmond. The Dunkle Sports Index has UMass third among the numerous 6-4 CAA teams. Rhode Island's Matt Hansen (6-1 230 SR) broke the Rams career tackles record last week at Richmond and now has 395 going into the UMass game. The Boston Globe says the Delaware drubbed the Minutemen. The Philadelphia Inquirer says Devlin was on target. The Worcester Telegram says Griffin was stellar, but UMass falls. MassLive said the UMass offense was good, but not good enough. The News Journal said the Hens are on their way to #1. Matty Vautour says the Minutemen face a must win game at Rhode Island next Saturday. New Hampshire beat Villanova. Also: UNH win puts Villanova in desperate spot. James Madison upset William & Mary. Also: JMU topples #1 William & Mary. Holy Cross beat Lafayette to go 5-5 overall and 2-2 in the Patriot League. Stony Brook crushed Gardner-Webb to go 5-0 in the Big South. Also: Stony Brook one win from auto-bid. That leaves four teams in the CAA tied at 6-4 overall and 4-3 in the CAA. On the long drive back to New Hampshire I changed my mind about this game. I can't be in a bad mood when my Minutemen played a spirited game against the #1 team in the nation. The UMass offense pushed the vaunted Delaware defense all over the field all day. The UMass players were into the game and played hard. Today was totally unlike Richmond or UNH. Anthony Nelson had a monster day with 250 total yards. We just made WAY too many mistakes to beat a team as good as Delaware. UMass scored 27 points and made five other drives to the Hens 30 yard line or better. We missed three field goals. We muffed a snap. 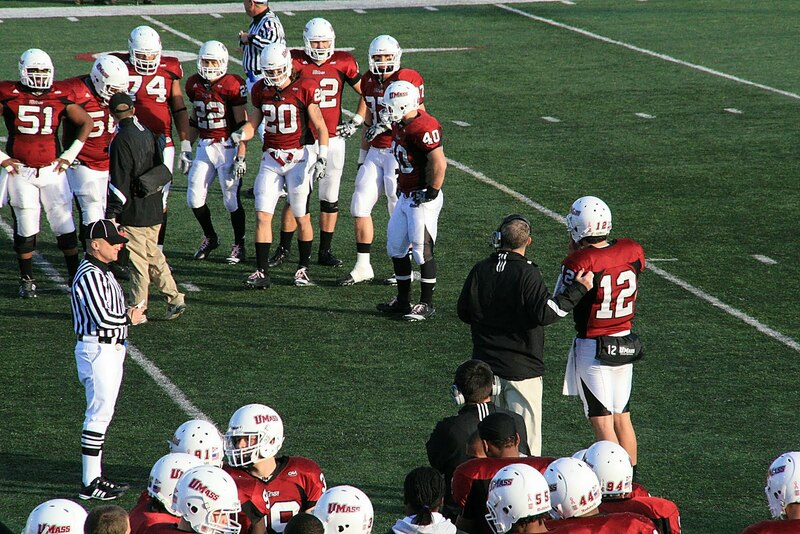 We threw an interception in the endzone. In addition, we shanked another kickoff to give Devlin a short field. UMass also came up short on a couple of officiating calls. A pass interference call from a official thirty yards away from the play kept a Hens drive alive. I thought one of the UMass safeties was held on the up-the-middle run by Delaware RB David Hayes for a TD. We're still in the playoffs if we beat the Rams next week. We knew beating Delaware was going to be tough. Everyone needs to keep playing and good things will happen next week. 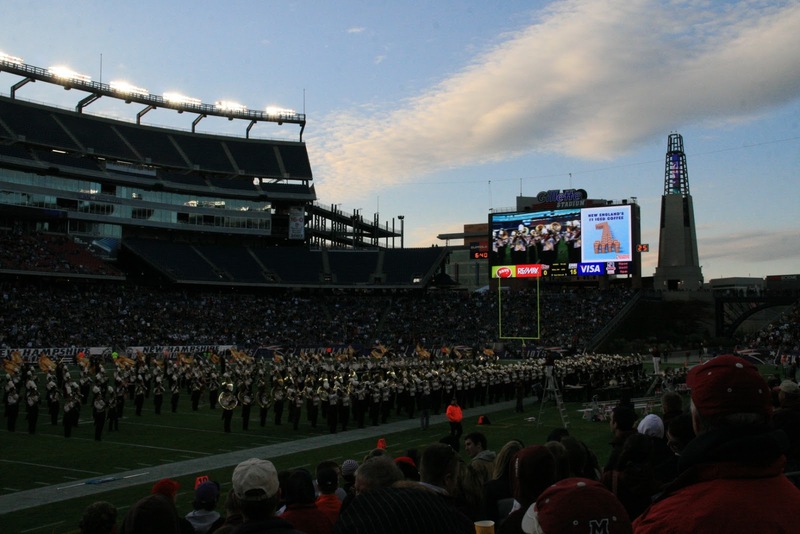 Saturday's crowd was 10,057, which gave UMass a regular-season home average attendance of 13,004. 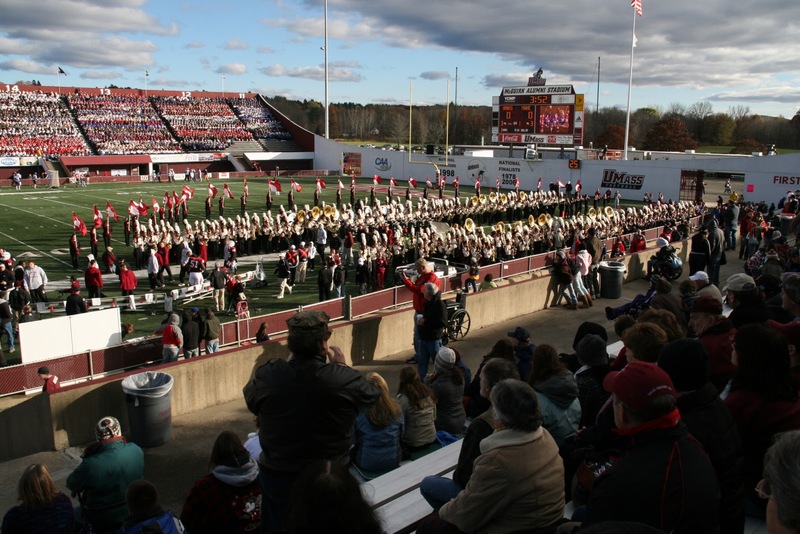 That is the second-highest average attendance in UMass history, second only to the 1999 season (14,684). UMass video, post game notes, and box score. I'll be in Kingston next week and I'll have more on the Delaware game tomorrow. 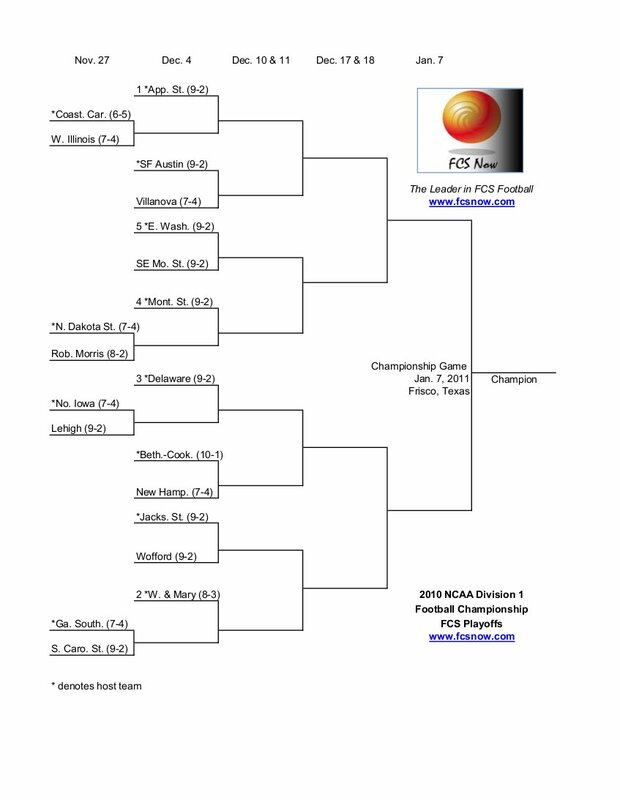 The Newark New-Journal says Delaware's playoff position depends on today's game. MassLive.com says UMass looks to share the wealth on offense against the Hens. They also say the Minutemen looks to develop some pressure on Pat Devlin. The CAA's Game Day page here. Today's UMass-Delaware will be carried on CBS 3 Now (Comcast 293 in W. Mass). UMass games sometimes appear on Channelsurfing.net. Check their schedule closer to game time. Both Villanova and UNH need a win this week. The game, BTW, will be on CSN-NE. OK. All UMass fans get their lucky gear on. A win against the Hens and we're in the playoffs! Delaware has its UMass game notes (pdf) available here. UMass is #12 in the Gridiron Power Index. CBS3 TV has its Week 11 video here. The Boston Herald says UMass is ready for its final push. The Enterprise News (Brockton) predicts Hens 27-UMass 17. Matty Vautour says UMass is looking to beat another #1 team. 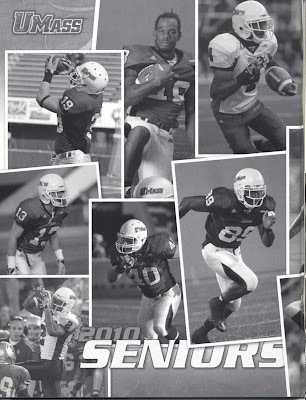 Saturday is Senior Day at McGuirk Stadium. The football family and the University will take the opportunity to honor and recognize this year's senior class for their contributions. 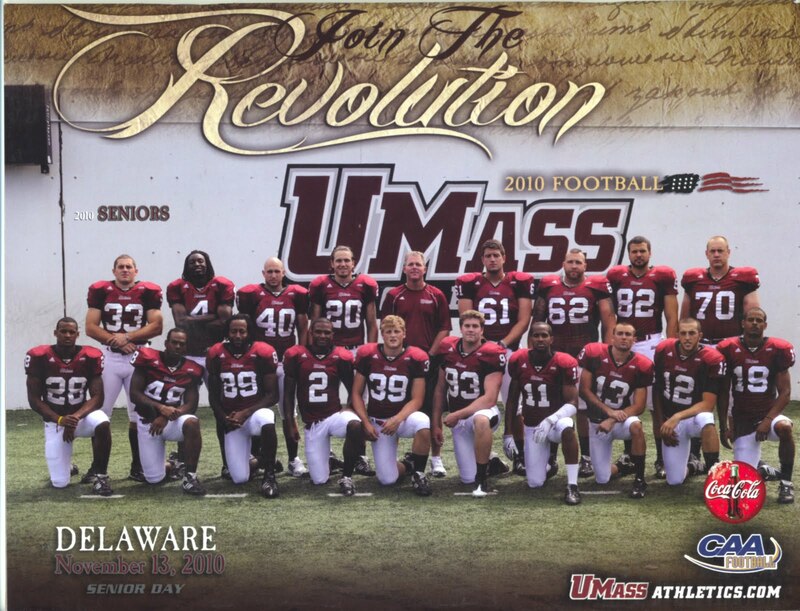 The 2010 UMass football seniors are: Ke'Mon Bailey, Calvin Belfon, Woody Carter IV, James Carven, David Cozzo, Scott Duggan, Torrey Esalomi, Aaron Fears, Brandon Flanagan, John Griffin, Kyle Havens, John Ihne, Andrew Krevis, Bob McLaughlin, Mike Mele, Anthony Nelson, Greg Niland, David Ramsden and Dan Sheeran. Congrats to the Seniors from the Blog. Be sure to get your diploma by finishing your degree at UMass. Andrew Gaddess from TSN previews Week #11 in FCS and predicts Hens 24 UMass 20. Meanwhile, Montana announced yesterday that they are staying in FCS. UMass has their game notes for Delaware up. Html here and pdf here. No game notes from Delaware yet. 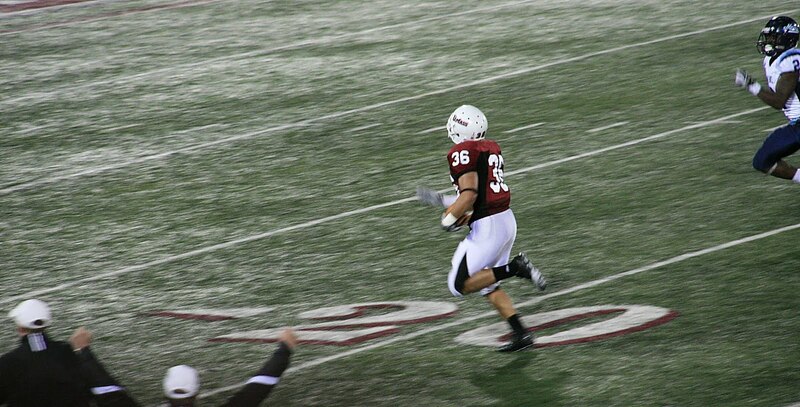 UMass' Tyler Holmes won this week's New England Sports Writer's Gold Helmet award. Matty Vautour has a story about two twins who took different paths after Northeastern folded: UMass' Chad Hunte and Delaware's Kyle Hunte. Delaware Online has a story about the Hen's starting guard Geno Gradkowski. The CAA football site has the latest on the CAA in the FCS polls. Villanova's Matt Szczur may be ready for the Wildcats last game of the season against Delaware. Sczcur's return would certainly be a boost for the Wildcats in the playoffs. The National Sports Rankings FCS/I-AA simulator gave Delaware 24 wins out of 25 simulated games against the Minutemen when I tried it. Three schools join the WAC. Montana still thinking about it. The UMass Daily Collegian says UMass-Delaware is pivotal. They also say Kyle Havens has reduced his turnovers. Ron Chimelis says Tyler Holmes has been better than advertised. Delaware backup QB Trevor Sasek looks to be available for the UMass game. Sasek has been used in the Hens red zone offense a lot this year. Hens freshman RB sensation Andrew Pierce has been named the CAA rookie-of-the-week six times this year. Delaware QB Pat Devlin has been named a Top Ten finalist for the Johnny Unitas Golden Arm Award. Despite being #2, the Hens are only thinking of UMass. Former UMass star Matt Lawrence has resumed practicing with the Ravens. BTW , he just got married last week. 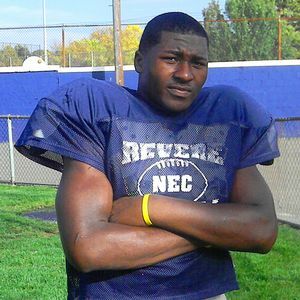 This article mentions former Minuteman George Barnwell. He won three letters for the Minutemen (1983,1984 and was captain in 1985). Barnwell led UMass in rushing in 1984 going 196-931 4.8 yards/carry 3TD's. This year's FCS National Championship game in Frisco TX will also have the first ever FCS Summit for division leagues and athletic directors. The Richmond Times-Dispatch says URI's first trip to Richmond's new Robbins Stadium may be the Rams last. Ron Chimelis says UMass' next opponent is either #1 or #2 (there's a pun in there somewhere) depending on the source. Kyle Havens dad agrees: fear the beard. UMass is #13 in the FCS Coaches Poll. The Minutemen are #14 in TSN's Poll. Tyler Holmes was TSN's national FCS co-defensive player-of-the-week. I believe that's the first time this year that a UMass player has won a TSN weekly award. The CAA's weekly press release. Meanwhile, the Rhody Rams are getting better every week. Hey buddy, you interested in a hot stripper's pole? 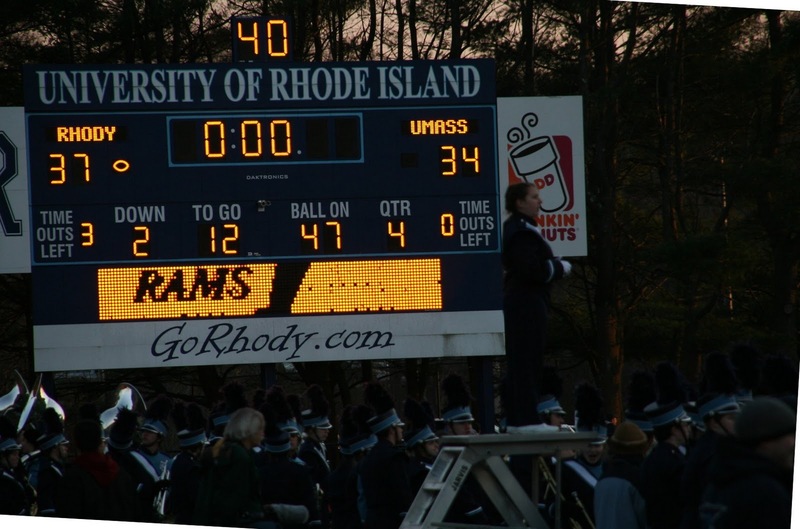 The UMass Daily Collegian said Kyle Havens led UMass over Maine. They also said defensive stops were a key to the victory. Tyler Holmes was named National Defensive player-of-the-week by College Performance Awards. Kyle Havens was honorable mention QB of the week and Ryan Carter was named kick returner of the week. Whew! UMass writeup here. Delaware picked up one vote in the AP College football poll. Delaware Online's Kevin Tresolini says the Hens current eight wins puts them in the playoffs. With one of Delaware's wins a victory over a DII school, the blog is not certain of that. TSN's Craig Haley feels Delaware's K.C. Keeler is one of the favorites for the Eddie Robinson Award (Top Coach in FCS). Somethings-got-to-give dept: UMass leads the CAA in total offense 3,614 yards 27 TD's 401.6 yards/game; Delaware is #1 in total defense 2,231 yards 7 TD's 247.9 yards/game. Latest CAA stats here. BTW, the Hens Andrew Pierce leads the CAA in rushing with 195-1014 5.2 AVE 12 TD 112.7 yards/game. Stopping Pierce will be the UMass defense's top priority. Keepers College Football rankings have Delaware as #1 and UMass as #14. He has the Hens by 10.24 over the Minutemen. The Dunkle Sports Index has the Hens as #2 and UMass as #10. The College Coaches FCS Poll and TSN's poll won't be out until later today. Heck, any football fan could have told them that. Beer lubricated the rise of civilization. The Boston Herald said UMass picked off Maine. The Herald's game article here. The Boston Globe said Holmes was twice as nice. 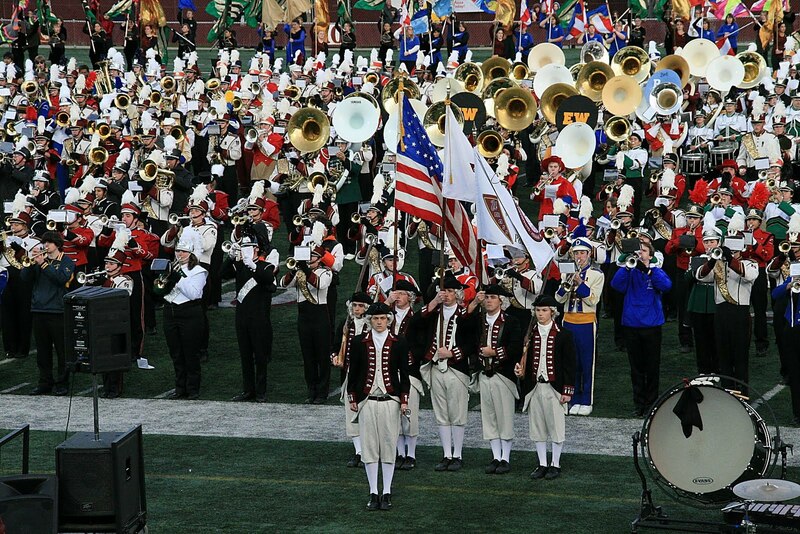 Ron Chimelis says UMass was in tune on Band Day. Matty Vautour said Tyler Holmes scores on two interceptions. Matty has a revised UMass path to post season. He also has three stars from the Maine game. From the UMass game notes about Holmes feat. 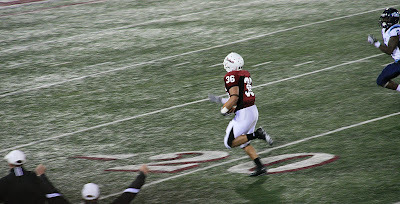 Tyler Holmes became the first player in UMass history to return two interceptions for touchdowns in the same game as well as in the same season. Holmes became the first player in 2010 in all of Division I football (FBS and FCS) to return two INTs for TDs and just the 23rd all-time in all of FCS. The last player to accomplish the feat was Kellin White, Southeast Mo. St. vs. UT Martin on Oct. 30, 2004. 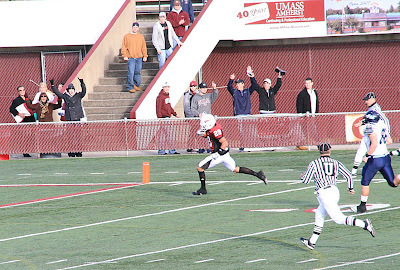 Holmes became the third player in UMass history to return two interceptions for touchdowns in a CAREER. He joined Anton McKenzie (2000-03) and Jerard White (1996-99). For Holmes, the two touchdowns were the first of his career. The last player in the CAA to return two interceptions for scores was Allante Harrison of Towson in 2004. William & Mary shut down UNH. Lehigh knocked Holy Cross out of the Patriot League title quest. Michigan beat Illnois 67-65 in triple overtime. That's the highest point total in the history of Wolverine football. Stony Brook went to 4-0 in the Big South with a 37-7 win over Presbyterian. Richmond is still in the playoff hunt with an overtime win against JMU. #1 Appalachian State lost at GSU. Robert Morris won the NEC's first auto playoff bid. 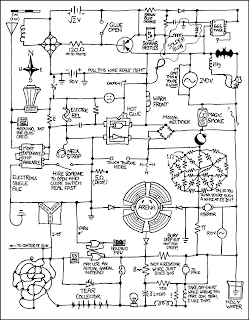 Click on the image and Blogger displays a much larger view. OK, now that was a day at McGuirk that would have made George N. Parks proud. The weird, sad atmosphere of Homecoming was totally gone. Lots of good things and lots of energy happening in Amherst today. First, the UMass Police were directing traffic and access to the Yellow and Green lots were much improved. Thank you UMass Police. The Announcer Guy, except for a tendency to have John Griffin making the tackle instead of running the ball, had a much better game. The UMass Band Day was superb as usual. George would have been especially proud of that. The UMass Media Dept should start beating the drums for Tyler Holmes as a Buchanan Award finalist. If there's another LB in FCS that has as much impact on a game as Tyler, I'd like to see him. 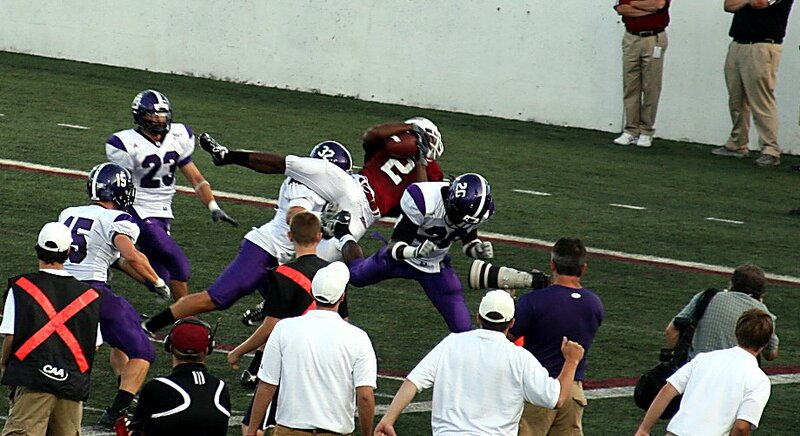 And Julian Talley, took a wicked pop on a pass reception and bounced up to tell the Maine defenders "You can't hurt me!" and then proved it a couple plays later with a circus catch. UMass write-up with notes, video and photo gallery. 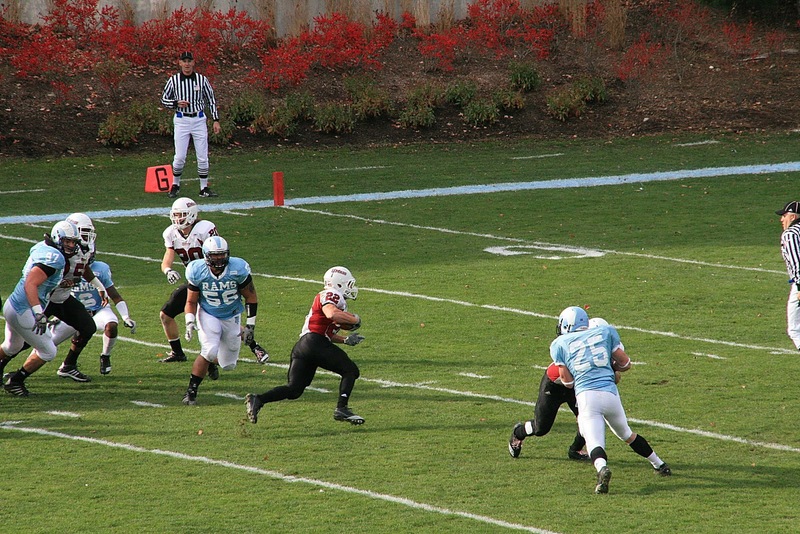 If you missed it, Rhode Island had the CAA upset of the season by topping Villanova 17-14. More tomorrow. 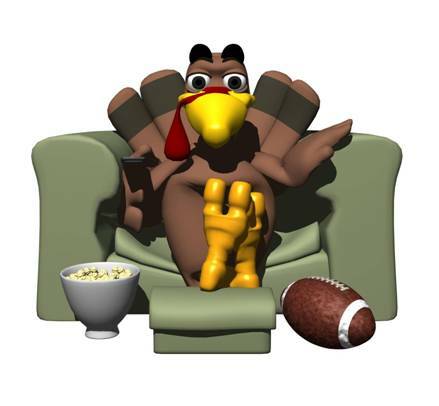 Enjoy the day and the win everyone.